Hi! You’ve stumbled upon the page for CWWC. This is a cool challenge thingy I’m doing for the month of August, hosted by let’s be lost. Lot’s of writings/ramblings will probably appear here throughout the month. Some I’ll publish on my blog as posts, but the rest will appear here. Warning: read at your own risk. These probably haven’t been edited that well, so if you’re a grammar freak, I apologize. I used two prompts for this story. 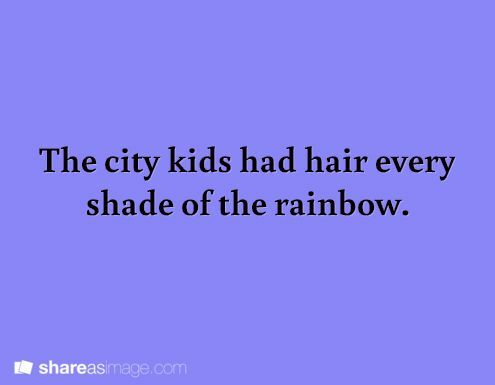 The city kids all had hair in rainbow colors. It was always awkward when I had to associate with them. The higher classes died their hair in all shades of the rainbow. Some even had designs, like sunsets and other scenes colored on the back of their locks. The lower classes didn’t have bright hair. We had plain, blond, brown, black, and gray hair. Lower class redheads were envied and, as a result, were bullied by both classes. The only time I felt free was when I rode my skateboard. 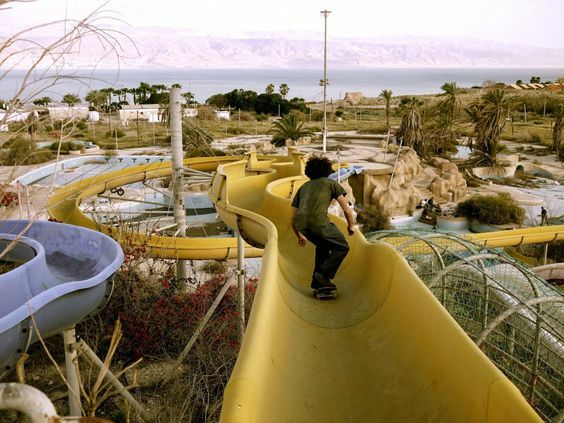 There was a closed down water park behind the slums, and I would ride there. It was shut down soon after the distinctions in class were made. Higher class people did not associate with the lower class people, and that was the way things were. The slides were the perfect size to ride, even though it was slightly dangerous. I didn’t care how dangerous it was; I liked the feeling of the wind pushing through my hair, and the feeling of flying. No one cared that I had natural red hair. The first few times I rode at the park, I stuck to the smaller defunct rides. The kiddie slides, and river. But my confidence grew, and I attempted more of the larger rides. They were harder because they continuously sloped downwards, and I had to position the board just right when jumping off at the end. After a few minor sprains and scrapes, I got the hang of most of the rides. When I went to the waterpark that day, something felt off. The gate was open. I knew that riding in the park was illegal, but no one ever used it, and no one ever came through the slums to inspect it. I knew I had shut the gate last time I came. I hesitated for a moment before entering the water park. I carried my skateboard down the sidewalk, to one of my favorite rides, the Twister. I climbed the stairs almost to the top of the ride, and then stopped. There was a girl, with hair the color of rainbows, skateboarding down the water slide. I used all three prompts for this challenge. I laughed as I passed the warning sign. It was still funny to me, all these years later. 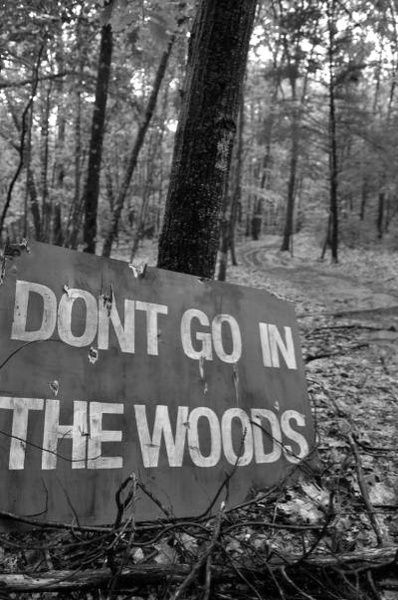 ‘Do not go into the woods,’ it ominously said. A few months ago, I took a knife and carved marks that could’ve passed for claw marks into the wood, for added effect. I clutched my basket tighter as I passed the sign, and entered the village. Calling on my illusion, I disguised my shredded wings as strong, and beautiful. I sold mushrooms to market-goers in the city. Dazzling purple, red, and brown and blue mushrooms they were. No one, save me, knew the edible mushrooms of the woods. Not that anyone bothered to go into the woods anyway. Tales and rumors were spun around the monsters in the forest. To be sure, there were monsters. But they never bothered me. I set up my mushrooms on the roughly hewn table in the booth. With my wings, mushrooms, and poor clothes, I was the picture of a fairy-folk peddler. Not the captive. Well, I wasn’t exactly a prisoner. I was condemned to live in the woods, among the monsters, until true love found me. It was the stuff of fairytales. A witch, a girl, and true love. I sold most of my mushrooms before the hour was over. Then I saw him. He was handsome, longish gold hair, and had a quiver of arrows around his shoulder. Every girl’s true love. Except for me. I averted my eyes, and began to furiously put away my mushrooms, packing them among the folds of cloth in the basket. He’d better not come this way, I thought. I didn’t want him to find me yet. “Go ahead, take your pick,” I said impatiently. His lordly eyebrows raised, but he didn’t reply to my sharp answer. It probably wasn’t the answer he was expecting. The first time a prince came along, hoping to try his luck and break the spell, I was excited. I thought I’d be easily freed of the curse, and have found true love. But that prince failed dismally, and never returned. I had clung onto hope for the second prince, then the third, and so on. Eventually, I stopped believing anyone could rescue me. I raised my own eyebrows, and did a quick survey. A bow and arrows, a short dagger, and probably a few knives were on his body. I silently put the last of the mushrooms into the box, and walked towards the woods, not checking to see if he would follow. I led him down the path, passing the Do Not Enter sign. I knew he saw it, but there was no reaction from Prince Charming. We walked for fifteen minutes, until I reached the clearing. It about fifty feet long, and five feet wide. It was perfectly cleared. I stood at one end and rattled off the rules. “I accept your challenge,” he declared. “Bring forth the monster.” He pulled an arrow from his quiver and knocked it on the string. I sighed. I was hoping this one would be different, but in my heart, I knew it wasn’t so. I closed my eyes and spoke. “I am the monster.” As I said it, I felt my illusion fall away from the shredded wings, and felt coolness spread across my body as the scales started to appear. Fire licked the back of my throat. I can never remember the battle. I’ve always woken up in the forest, a normal human, with shredded wings. Sometimes I’ll find the prince, dead, or sometimes I’ll find a pile of weapons from when the prince dropped them and fled. No one ever won. To win would be to kill me, and no one wanted to be the one to kill me. The witch was clever, she knew that a Prince could never kill me as a dragon, so the curse depended all on the words the prince said. I was physically unable from telling my secrets to potential the Princes. As the years passed, fewer and fewer nobles came to try their luck. No one ever succeeded. There came a month where none came at all. It was rather pleasant, and I liked picking my mushrooms and selling things at the market in the village. And I lived happily ever after. The officer huffed, and didn’t say anything else. She left me in the room with the other guards. My hands were shackled behind my back, and my legs were cuffed. It wasn’t the worst that I’ve faced. The door opened again, and three officers came in. One sat across the table from me, and the others stood near the door. As if five guards wasn’t already enough. “Then why do you want to cover them up if they’re just myths?” I demanded. The officer looked at his reinforcements, and tilted his head towards me. They came up behind me, and forced me from the chair. “I won’t go down without a fight,” I promised. I walked out of the room, escorted by the guards. I looked out the window. I didn’t want to go outside. Not again. Hadn’t I just gone outside last week? It was better to stay in the shelter of my house, out of the sight of the public. I stretched the shell of my wings. How many months had it been since I lost them? But I needed to eat something, and there wasn’t much left in my small shack at the edge of the village. I grabbed my jacket and tried to stuff my wings under the back. I took a deep breath, then opened my door. The heat hit me. It was the middle of summer, but I didn’t really care. As long as people couldn’t see them. I walked to the butcher, down through the village, and the different shops. As I passed, I heard the whispers. I ignored them, staring straight ahead. When I finally reached the butcher, I pointed to what I wanted, and placed the money on the table. 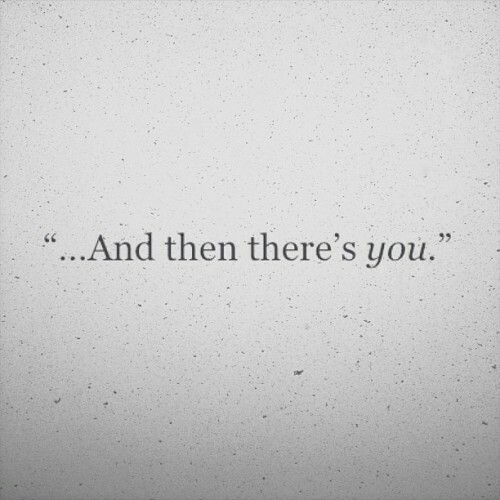 “Will that be all for you?” He asked. His wings were large, and strong. They were dark gray, and they seemed to radiate power. Like mine used to. I nodded, and turned away with my purchases. I walked to the old vegetable seller. She was hunched over, sitting on a barrel. Her wings were withered and atrophied, and they were a dirty yellow. No one cared what her wings looked like. I was at the peak of my time, everyone wanted to know what mine looked like behind my jacket. In a society where all anyone cared about was wings, I felt shunned. I bit my lip, and turned away. I could do without vegetables for a little while, at least until Old Sue came back to the village. That might be several months from now, but at least she understood. My father smiled. It wasn’t a pretty smile. “Still not over what you did, I see,” he said looking at my jacket. 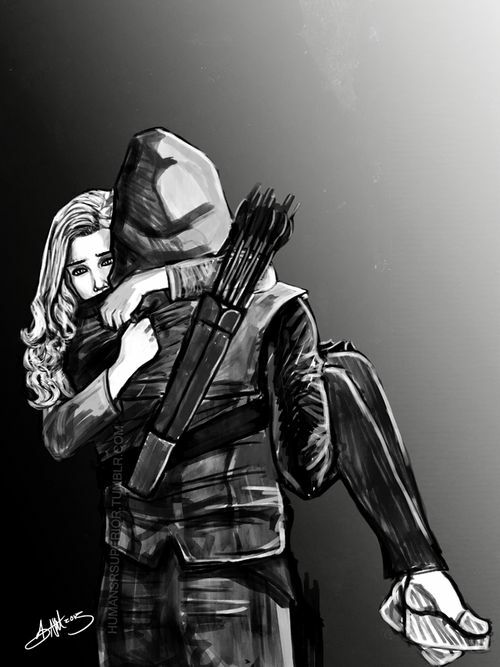 “You tied me so I couldn’t fly, then I fell.” I started quivering with rage. “I never came back, so why did you think you could find me? You hated me. I hate you! Never come back here!” I ran out of the building, leaving him inside. I ripped off my jacket, and unfurled my wings. Where thick, beautiful scales used to be, it was all bone, and empty spaces. I was hideous. I knew real men didn’t cry. But I wasn’t a real man, was I? I was broken, worthless. A skeleton. I woke up in bed, clutching the covers and drenched in sweat. I lived in America. It was six in the morning. I probably wouldn’t get anymore sleep today, so I climbed out of bed. There were no wings. But it was still summer. And I still put on my jacket. The shackles around my feet rattled. How long had I been confined to the small prison cell? I couldn’t remember. It felt like years, though I knew it wasn’t. I was found in the woods, alone, a devil child. Some servant of the castle found me, asleep in a basket. They took me inside, and someone raised me until I was three or four. That’s when they learned. I opened my mouth to sing, and enchanted everyone. People came from all edges of the kingdom to listen to my voice. My songs were deadly. People fell over themselves to do as I bid. I couldn’t explain it and neither could they. But as I grew, I learned how to use my power. People could choose to disobey my sung instructions, but it was difficult. Eventually, they had me locked up. It was a lavish room to be sure, but the shackles around my feet reminded me that I wasn’t a princess in a tower; I was a prisoner in a cell. I was delivered my meals twice a day, but the servants who brought them stuffed their ears so they couldn’t listen to my song. After a while, I gave up trying to sing my way to escape. Then a knock came from the door. No one had ever knocked because the door was locked and I didn’t have the key. The door opened, and I saw an older man standing at the top of the stairs. “Why are you here?” I sang, relishing the way the notes rolled off of my tongue. “Don’t use your siren song on me, it doesn’t work,” the man said. He wore a rich green robe. His ears were pointy, and they stuck out under his white hair. “Why ever not?” I sang. Sometimes it took them a while to get used to my voice, but his ears weren’t stopped up. I raised my eyebrows. “Then why are you here?” I continued to sing. He harrumphed. “Try using your head, and not your voice. You’ll think of something. 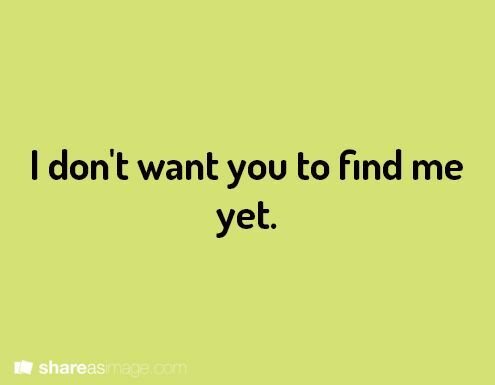 That is all I can tell you. Goodbye.” He snapped, and disappeared, leaving me alone in the prison cell, still as much of a prisoner as ever. If he could disappear by snapping his fingers, he could surely figure out a way to take me with him, out of this forsaken prison, I thought bitterly. I rubbed the skin beneath the metal on my ankle. If I pretended to be sick, they would have to take me out of the room. I could pretend to have the plague. I could smear color on my body to look like the lumps. They would have to take me out, and then I could use my voice and run. Even if a king wanted me, he’d have to find me first. I climb onto the crowded bus. All the buses in the Magical State were in bad need of repair. This one was the worst one I rode on. It is cramped, and the original blue paint was dingy and faded. I take a seat towards the back, and inhale a deep breath. 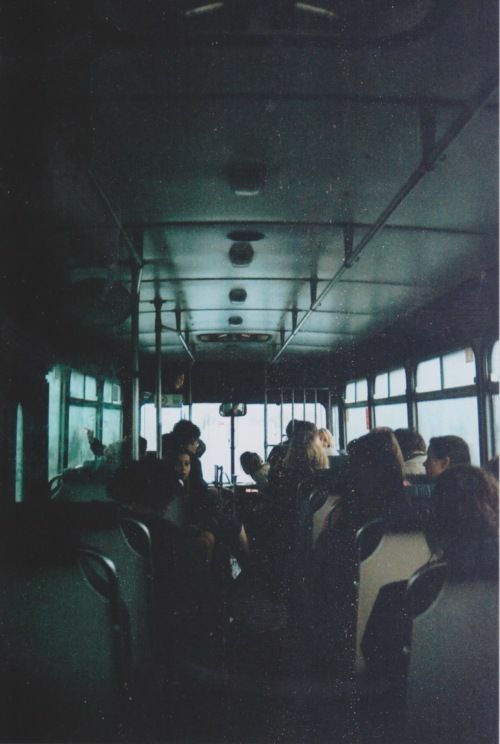 It is my eighteenth birthday, and that meant my mandatory bus ride down Memory Lane. They say that it can be either a sweet place, a dark place, a sad place, or a happy place. No one really knows how it works, but everyone on the bus sees the most important pieces of their past life on the bus ride. The law states that every person must ride the bus on their eighteenth birthday, and their thirtieth birthday, their fortieth birthday, and so on. I look around me at the other passengers. Most don’t want to be here, but some odd people like the bus ride, and come here as often as they want. A girl about ten stands in the middle of the bus, gripping a poll and eagerly looking around, even though we’re nowhere near starting. A few people have already filled the first few rows, sitting two across. But I sat in the back. I hadn’t been looking forward to this. Eventually, the bus coughs, and a cloud of exhaust rises from the back. I clench my hands tightly together on my lap. I look out the window as we start moving, knowing that I’ll have to look out sometime. I see outside, which surprises me. People are shuffling past on the sidewalks, and magicians call out for money. But alongside them, I see me as a child. My brown hair flying wildly in the wind as I run down the street, dodging performers. Soon I see what I don’t want to see. An older boy, hot in pursuit of the little me. As we move along the road, I see him catch up to me, and throw a snowball in my face. I bring my hand to my face, trying to wipe off the snowball from so long ago. They say the bus ride is so we can reflect on our past. But I already do that enough on my own. The bus turns onto a different street, and the two figures disappear for a moment. Then they reappear, older. I must be fourteen then. I sigh, quietly. The girl has matured more. She is prettier, and shyer. She prefers to keep to herself. But there is one boy who she shares all her dreams and secrets with. The boy laughs with her at something she says, and I hear the turn signal. I’m sixteen. I know it for a fact because I’m old enough to drive. I drive with him for the first time after getting my license. It was before I knew what was going to happen. I watch as I pull into the parking lot, and he beckons me to get out of the car. We walk through the gravel. I can almost hear the grinding crunching noise again. Almost. We walk to the river, and onto the bridge. His mouth opens, and he whispers to me. I know the words. I’ve heard them every day of my life, ever repeating themselves in my mind, never stopping. “I’m sorry,” I whisper at the same time he does. He pulls a gun out of his jacket, and with a sad smile, he shoots himself. I see myself fall to the ground, and try to do something. I see his lips move, and I remember the words he says. I see myself scream. It was like a nightmare, except I couldn’t wake up. He had bought me time. A few years maybe, to come up with a new identity, move to a new city, find someone else… But only a few years. The men who hunted me wouldn’t be appeased for long. It was hard being the assassin’s daughter. I am weeping when I step off of the bus. It was cruel torture being made to watch those tender moments over again. He knew the cost of being my friend, and he ultimately died for me. As I step off of the bus, I see the ten year old girl. Why she rode the bus, I don’t know. But I rode the bus, and I know what to do. He bought me the time. The hunters would be appeased for now. But I would put a stop to this. I would defeat them myself.